Today’s blog is an ancillary of yesterday's blog perhaps with a lesser tad of melancholia and alienation. I would like to sort of reverse Coleridge’s quote from his The Rime of the Ancient Mariner and point out that I have cameras everywhere, lights everywhere, but not a face to photograph. This is the reason why since last night I have been looking into the very thick files of negatives and slides of Argentine Linda Lorenzo with whom, Nora Patrich, Juan Manuel Sánchez, Claudia Katz and I collaborated for a show called Nostalgia in 2000. There are hundreds of pictures I have never printed. 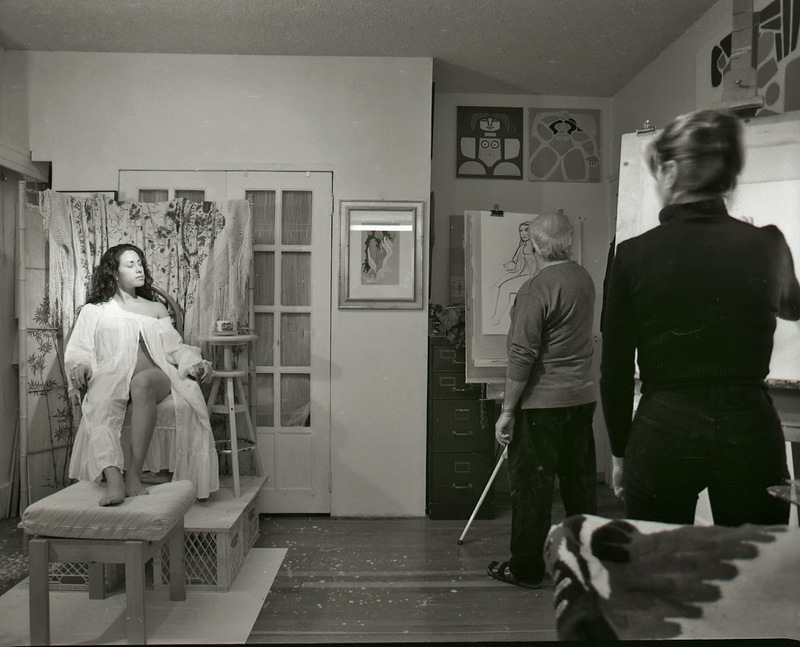 Since most of the photographs, pictures, drawings and paintings of our show featured nudes it is difficult for me to select some that will not offend the modern sensibilities of the smart phone generation. It is appalling to see how the quality of photography seems to have diminished in inverse proportion to the sophistication of the devices used to record the human face. It would seem that few people understand that a cell phone’s wide angle lens when positioned close to the face for a selfie will produce a most accurate manifestation of it. Indeed since your nose is proportionally closer to that lens it will be bigger. And if you hold that phone high up it will make your forehead (closer to the lens) that much bigger. Few of these photographers seem to understand anything about the “quality” or direction of light. The concept of contrast and its control, central to the idea of portraiture or garden photography seems to have gone the way of the clutch. For today I want to feature a bit of show-and-tell on the wonders of artistic collaboration particularly when it is an extended one and routine sets in (a comfortable routine) and work seems to flow with few words. It all happens automatically in a nice sense. Sometimes things go wrong but in the right way. A case in point is some of my work in our first session with Linda Lorenzo in Juan Manuel Sánchez and Nora Patrich’s home studio. The other Argentine photographer, Claudia Katz may be discerned in some of the strips of film holding a video camera. You can see the reflection of her camera’s light on the studio windows. What went wrong is that I decided to shoot some pictures with a Japanese Widelux, swivel lens 35 camera. The camera does not bark but it is a dog. It has a notoriously unreliable shutter and its lens is not fast and not all that sharp. For the pictures here I used a very fast, very grainy Kodak 3200 ISO film. Because the lens swivels to take a 150 degree panorama I was able to get away with a 1/15 second shutter speed. But if you do not use this camera frequently you can forget how to load it. My Widelux, my Russian version of it a Horizont (it looks like a Buck Rogers ray gun) and a wonderful 120 film German Noblex all have a complex loading procedure. Somehow I forgot to slip the film under the roller on the right hand side of the Widelux. This means that you get that interesting wedge-shaped exposure on the right and since the film is not held flat that corner is not all that sharp. 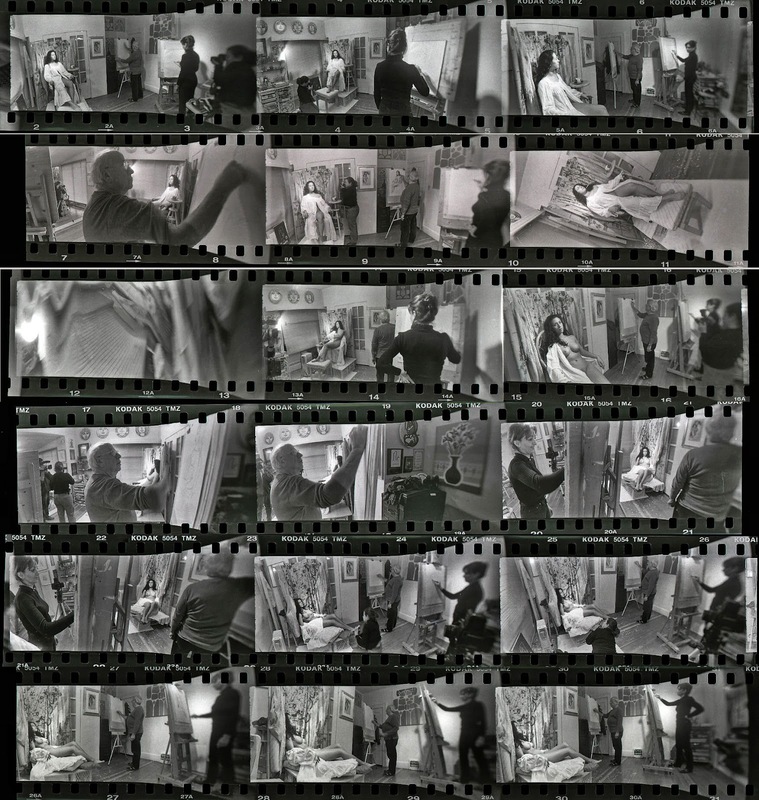 I have scanned each strip of three and combined them all into a digital contact sheet with Photoshop Layers. Fourteen years later I can still remember the smell of the paint in the studio, our pre-shoot sessions at the Taf Café on Granville (around the corner from my studio on Robson. 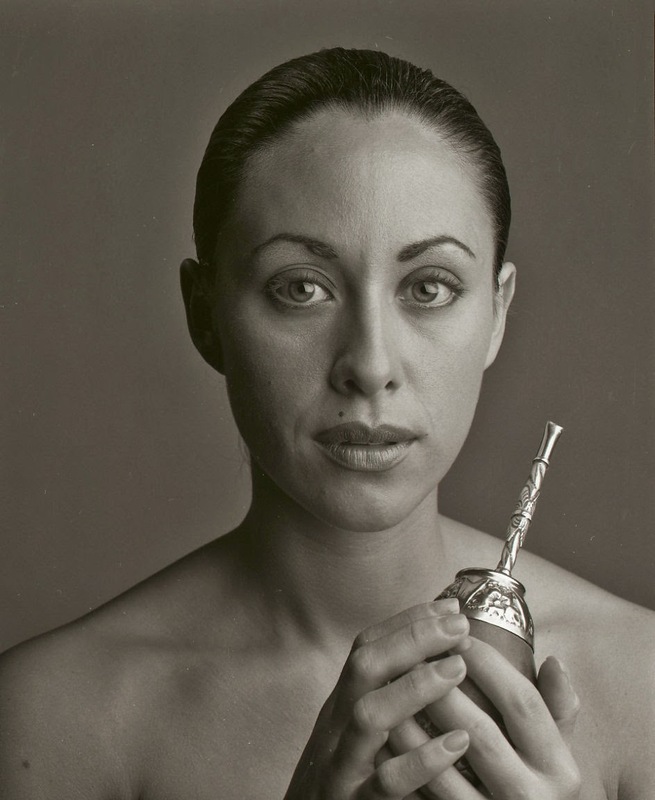 I remember the scalding mates we all drank (one metal straw, Argentine custom) and just how unearthly beautiful Linda Lorenzo was (and must still be). This all happens while I brood on how all my photographic equipment is making the boards, not shrink but bend under their collective weight. My three panoramics have a lens that swivels in a semi-circle. The scene focuses on film that is flat but flat on an equivalent but reversed semi-circle within the camera. Both the Horizont and the Widelux have to sweep but must do so from an initial standstill. This causes frequent “stutter” streaks on the film. The much more elaborate German Noblex, sweeps without taking a picture, and only when the sweep has reached its correct speed does the shutter open. As you can imagine with digital camera “panoramic stitching” something that even smart phones can accomplish, my three cameras are dead and the companies that made them went bankrupt. And yet I am not sure that the panoramic sweeps of digital cameras can achieve the quirks mine do when I don’t load them correctly.